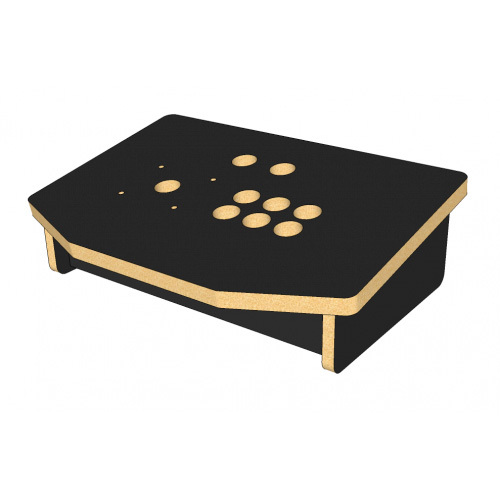 Looking for a stand alone controller to up your game? This design features a solid 3/4" melamine coated MDF board top with 1/2" melamine body. Standard layout is set up for American (Happ) style controls with 1 joystick, 6 action buttons, and 2 extra buttons (coin & player start as an example). This layout can be customized to your needs, and can even be adapted for Japanese controls.